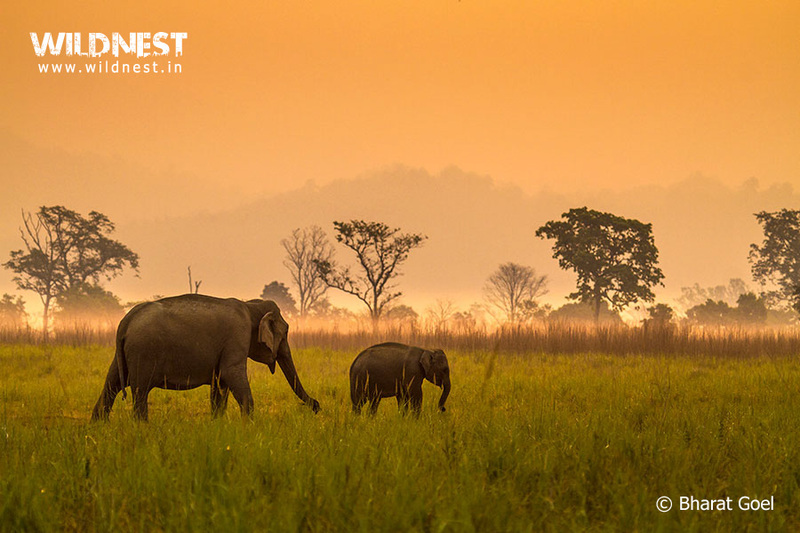 Corbett National Park is the oldest national park of Asia established in 1936 and India’s one of the first tiger reserves declared in 1973. 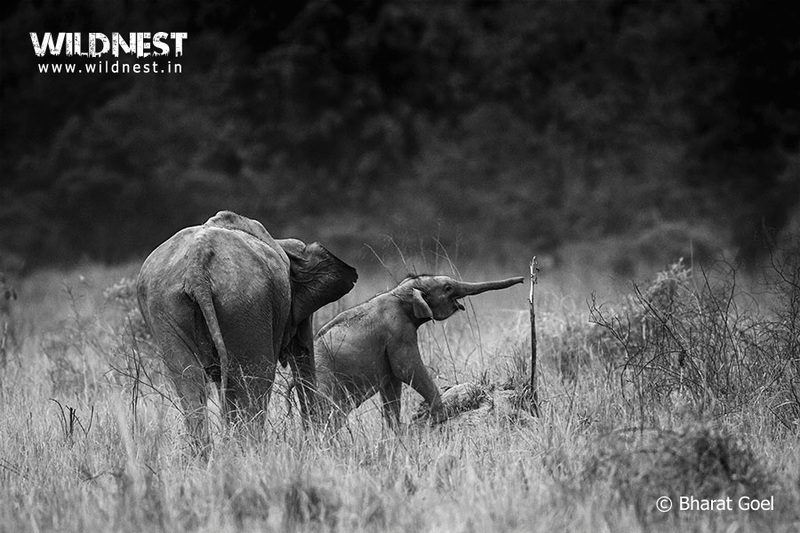 It is named after Jim Edward Corbett, a hunter turned conservationist. Blessed with a wide variety of landscapes due to its geographical location between the Himalayas and the terai, which provide varied habitats such as wet and dry, plain and mountainous, gentle and rugged, forests and grasslands, it supports diverse ecosystems. Ramganga River flowing through the jungle is the largest of the precious few perennial sources of water in the park and provides the most picturesque views. A dam on Ramganga at Kalagarh forms a reservoir of about 80 sq. km, the backwaters of which reach till Dhikala.It is truly recognized as the “Jewel of the Crown”. Owning to its unique location, bird population is quite high throughout the year with winter visitors, summer visitors, altitudinal migrants, passage migrants and local migrants. 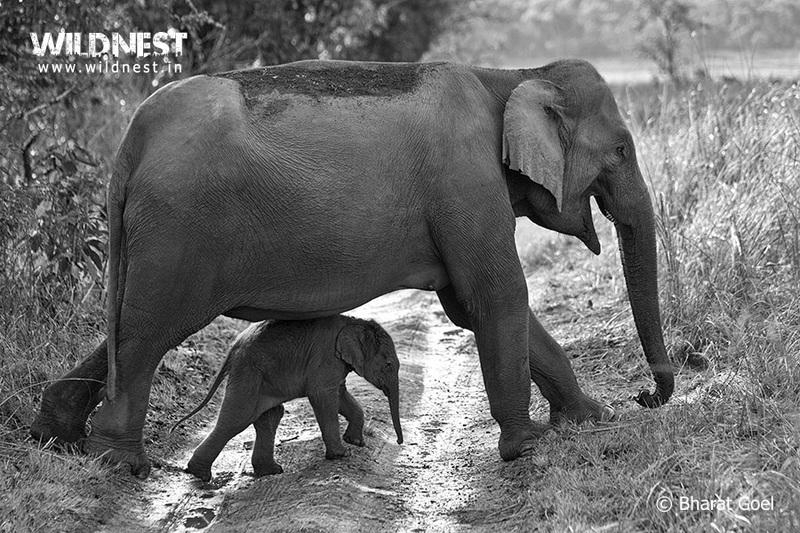 The main attractions of Corbett National Park are the Asiatic wild elephants, tigers and the wide variety of birds found here. 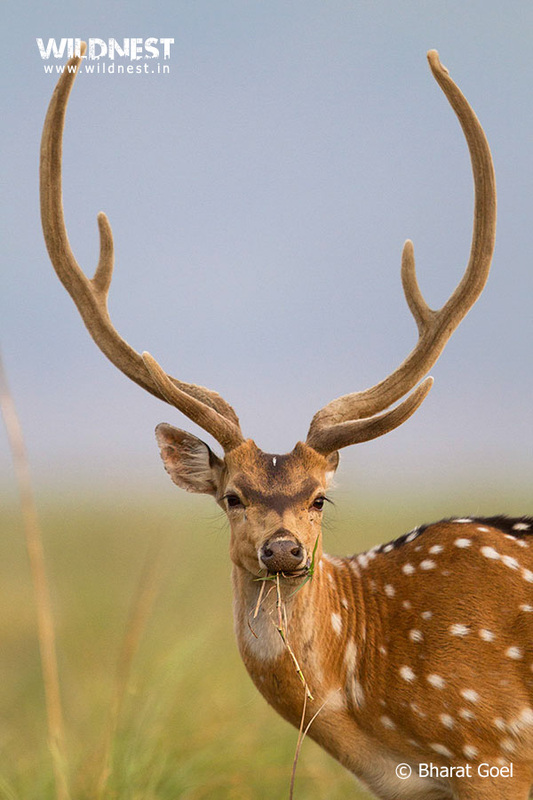 Other commonly seen wildlife includes leopard, sambar deer, spotted deer, hog dear, barking deer, jackal, langur monkey, rhesus macaque, wild boars, peacock etc.Various aquatic species such as mahseer, crocodile, gharial, turtles etc are also found here. Corbett’s rivers attract specialist birds of prey such as Pallas’ fish eagle and the rare tawny fish-owl. Other water dependent birds like kingfishers, cormorants, storks, terns, shanks, sandpipers, dippers, forktails etc. also frequent the park’s rivers. During winters many long-distance migrant birds throng the Ramganga Reservoir. These are mainly storks, herons, sandpipers, plovers, waterfowl (ducks and geese) and ospreys. Distinct variation in flora is clearly visible in the park. The lower areas consist of sal and associated forests while as you go higher you encounter progressive belts of mixed forests, chir pine, oak and rhododendron, khair (Acacia catechu) and shisham or sissoo (Dalbergiasissoo) trees which grow on sandy, gravelly areas all along the Ramganga and streams and chaur (local name for extensive savannah grasslands) which is the most unique vegetation of Corbett National Park. More than 600 species of trees, shrubs, herbs, bamboos, grasses, climbers and ferns have been identified in the Park. Clear sky with comforting sunshine, good for wildlife viewing between November and December. In January one may see frost on the meadows.While the days are pleasant, nights are fairly cold. Clear weather with excellent visibility and moderate day temperatures. Hot in the afternoons. Mornings and evenings are pleasant. Long daylight hours facilitate longer wildlife viewing time. The weather becomes quite pleasant with the drop in temperature. The park is closed for the tourists during the rainy season, However, the Jhirna (gate) region of the park is open throughout the year and tourist can visit and enjoy rainy season with wildlife safari.The main reason for closure of the park during the rest of the year is that during the monsoons most of the roads get washed away. Repair work starts after the rains end and it is only by November that roads are back in motorable condition.During monsoons, the humidity soars up to 98 percent, making the weather very sultry. Winter (November – March): Days are clear and pleasant, Nights get cold. Great time for bird-watching and tiger sighting. Summer (April – June): Hot days with pleasant nights. 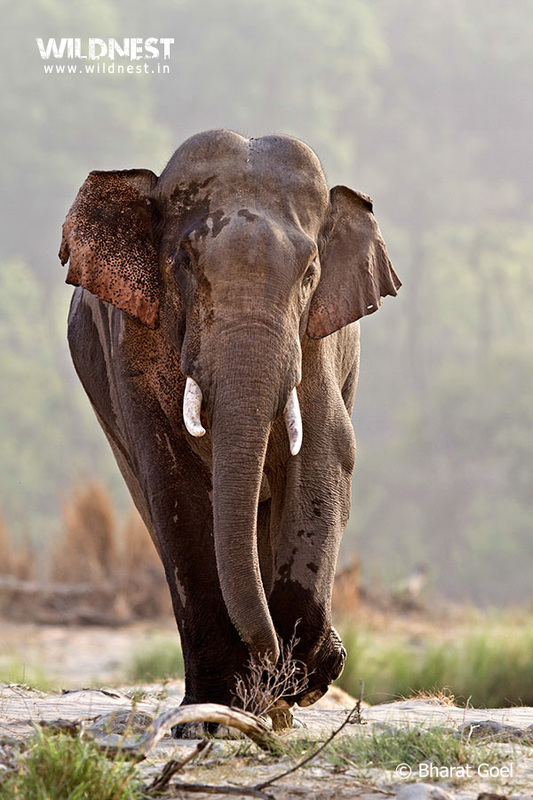 Ideal time for animal sightings, especially elephants and tigers. Monsoon (July – September): Humid days and nights. Most areas of the park are closed during this time. Good time for walks and trekking. Because of less crowd and rush, good probability of animal sightings. Good for observing flora. Ramnagar (12 km) is the nearest town and is well-connected by road to Delhi (247 km), Lucknow (429 km), Nainital (66 km). 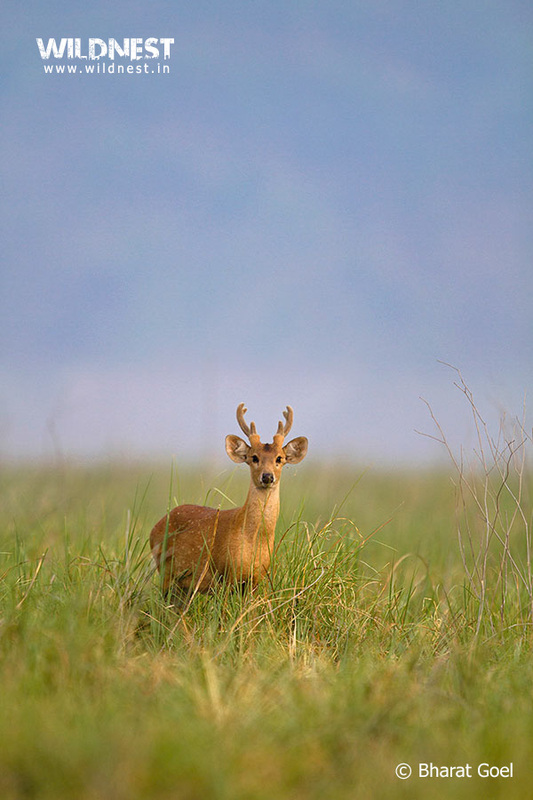 The closest domestic airport to Corbett National Park is 50 kms away at Phoolbagh, Pantnagar but has limited connectivity. Nearest International Airport is at Delhi (280 km) and is well-connected throughout India and abroad. The other major air link for tourists coming from northern parts of India is at Dehradun (222 km) and Lucknow (429 km). The closest railway station to Corbett National Park is Ramnagar (12 km) and is well-connected to Delhi. Canter Safari in Dhikala Zone. Elephant Safari in Bijrani and Dhikala Zone. 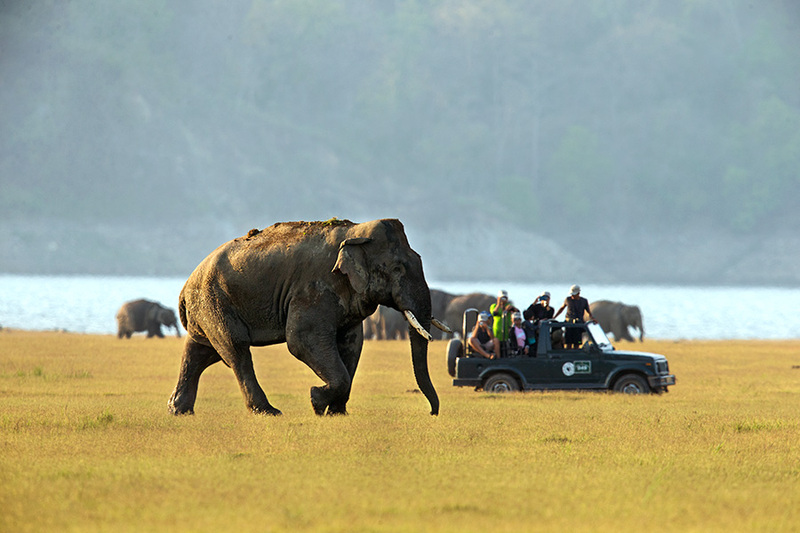 Elephant Safari in Sitabani Forest. The temple is built over a small hill amidst Kosi River. Surrounded by lush greenery and flanked by the gurgle of the river Kosi, Garjiya Devi temple is a beautiful centre of spirituality near Ramnagar. It is located 12 kms from Ramnagar. Rock climbing, river crossing, flying fox, bridge fall, jungle cycling, horse riding. Jungle trekking is a wonderful experience in the areas around the reserve forest and along the various hill tracks. Corbett Museum at Dhangarhi gate – The Corbett Museum at Dhangarhi houses the belongings of Mr. Jim Corbett. Here you will watch the educational details about floras and faunas of Corbett Park with trophies of naturally dead animals i.e. tiger, leopard, tusker, deer, sambar, crocodile etc. Jim Corbett’s home at Kaladhungi around 32 kms from Ramnagar on Nainital Road, is now a museum. Today this unique home is a comprehensive museum housing souvenirs, relics, mementos related to Jim Corbett.Chotihaldwani and its residents are vividly described in the book written by Jim Corbett called “My India”. The trail takes you along the Bour River through the ChotiHaldwani village in Kaladhungi, which was settled by Jim Corbett. The trail offers glimpses into the typical Kumaoni village culture and also provides bird watching opportunities. The trail ends with a visit to Jim Corbett’s home. Today this unique home, is a comprehensive museum housing souvenirs, relics, mementos related to Jim Corbett and his famous exploits.Along the trail one can see the boundary wall, which was constructed by Jim Corbett to protect crops from the wildlife. There is also the house that Jim Corbett built for his associate Moti. One can see a gun gifted to a village man Sher Singh by Jim Corbett. The Corbett Waterfalls, a small but awesome view, is from a height of about 60 feet and is in the backdrop of scenic greenish forest. The area is popular as a camping and picnic site. It is located 35 kms from Ramnagar and 3 kms fromKaladhungi. 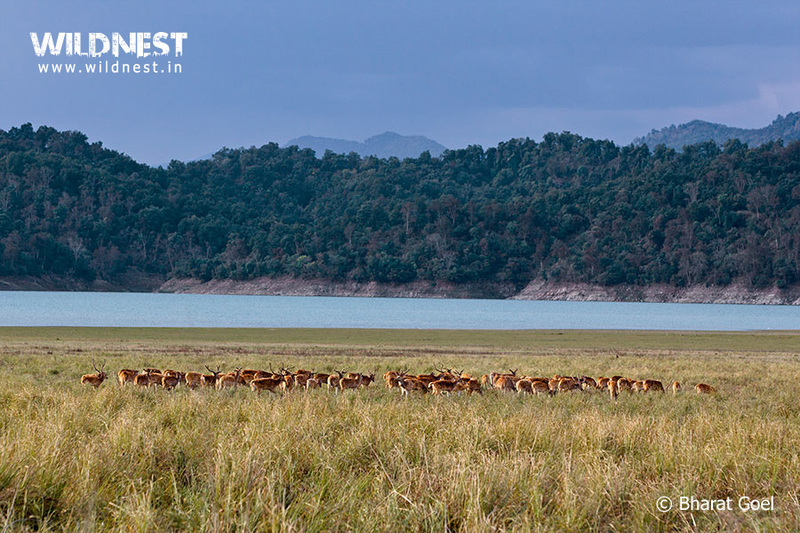 Thirty kilometres from Ramnagar, Marchula is known as the tip of Corbett National Park and is situated on the banks of the Ramganga River. It is surrounded by mountains and dense forests and is famous for its wildlife. It is a good spot for angling and to catch the mighty Mahaseer.